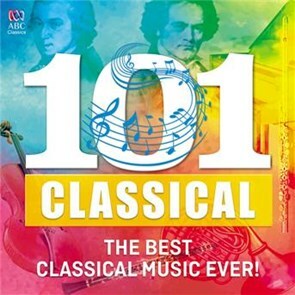 Compilation - 101 Classical: The Best Classical Music Ever! Serenade in G Major, K.525 "Eine kleine Nachtmusik"
Piano Sonata No.14 in C sharp minor, Op.27 No.2 "Moonlight"
Sonata in G minor for Violin and Continuo, B.g5 "The Devil's Trill"
Symphony No.9 In E Minor, Op.95, B. 178 "From The New World"
Concerto For Violin And Strings In F Minor, Op.8, No.4, RV 297 "L'inverno"
Symphony No.2 In C minor, IGM 8 "Resurrection"
Finale: "o glaube, mein herz, o glaube"
Barcarolle "belle nuit, ô nuit d'amour"
Piano Quintet in A, D.667 "The Trout"